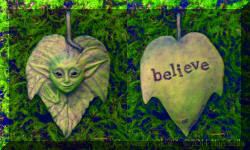 Do you ever get the feeling that you are being watched? 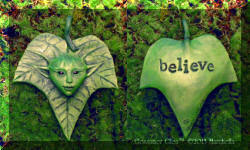 That's because...you ARE! 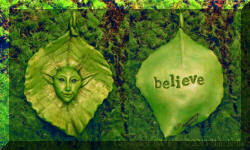 But if you are quick enough, you just may catch a Glimpse! and the word "Believe" on the back. 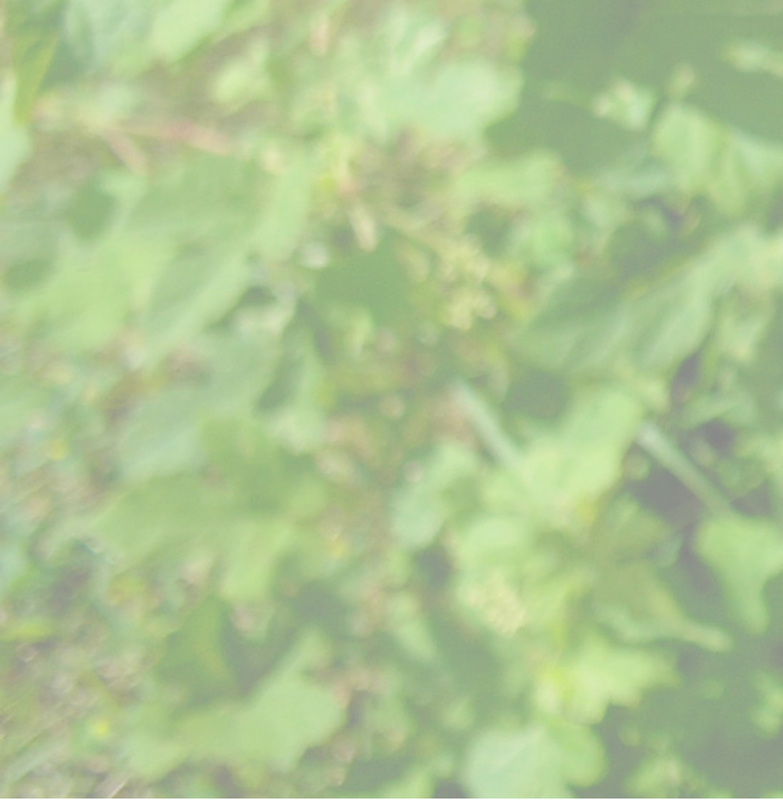 Their eyes are genuine black onyx gemstones. 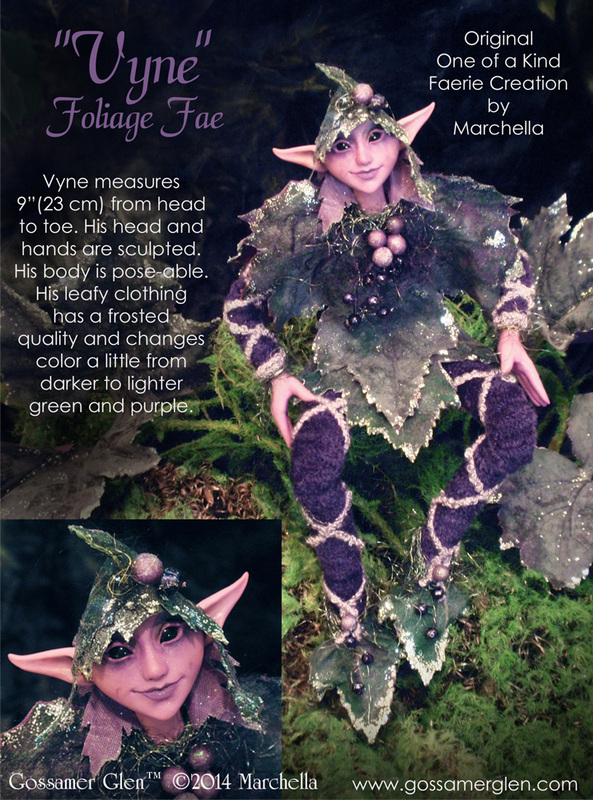 with a 2"(5 cm) extender, in a gift box. 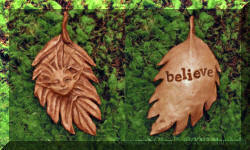 Also includes a short ribbon for use as an ornament. Be Leaves range from 2"(5 cm) to 3"(7.5 cm) in width and 3"(7.5 cm) to 4"(10 cm) in length, including stem. 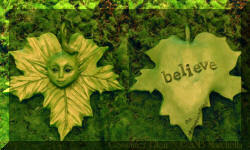 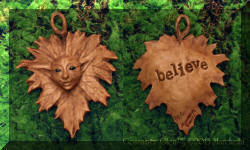 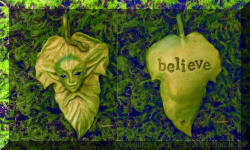 When Be Leaves™ come out to play, you will see the Foliage Fae. 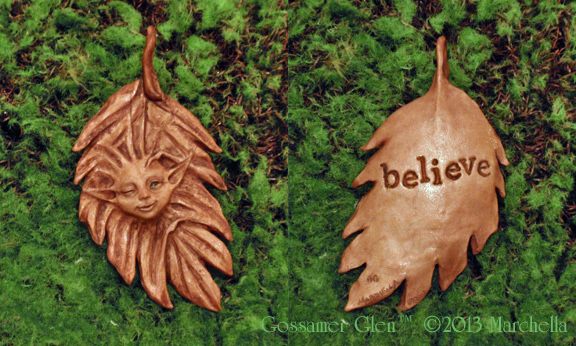 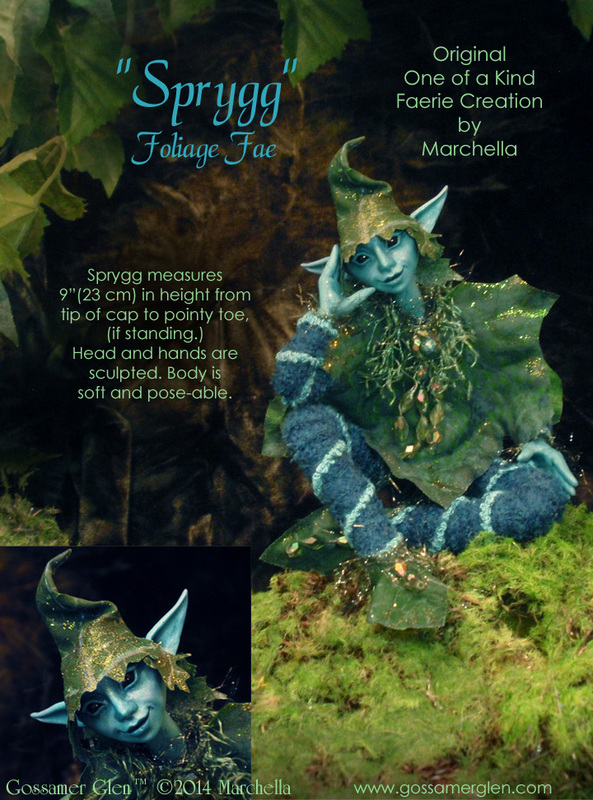 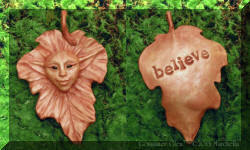 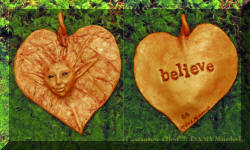 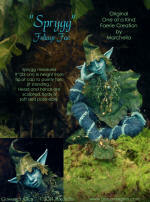 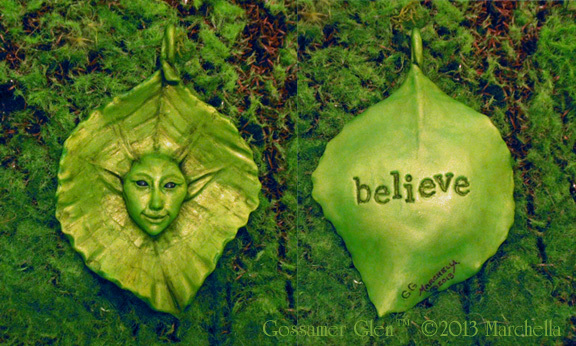 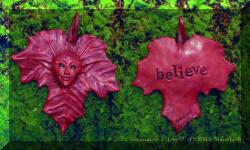 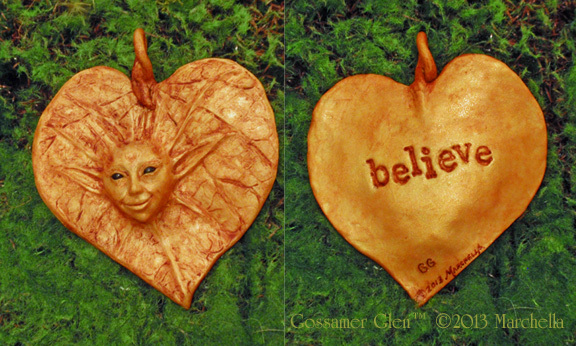 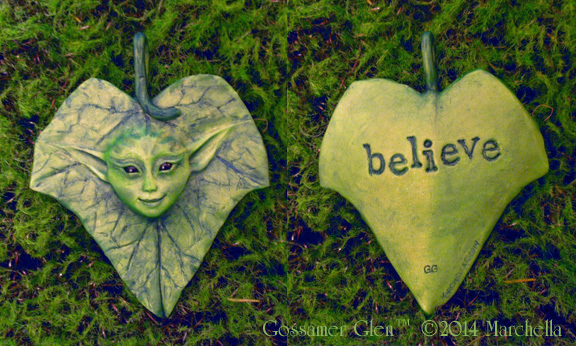 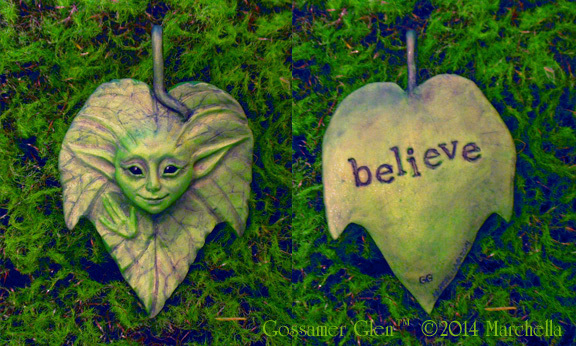 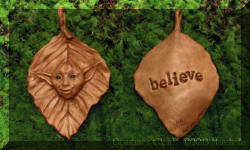 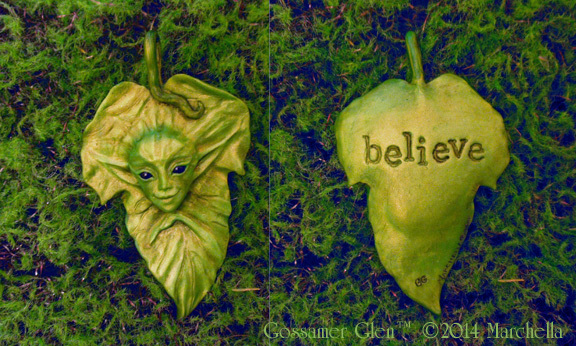 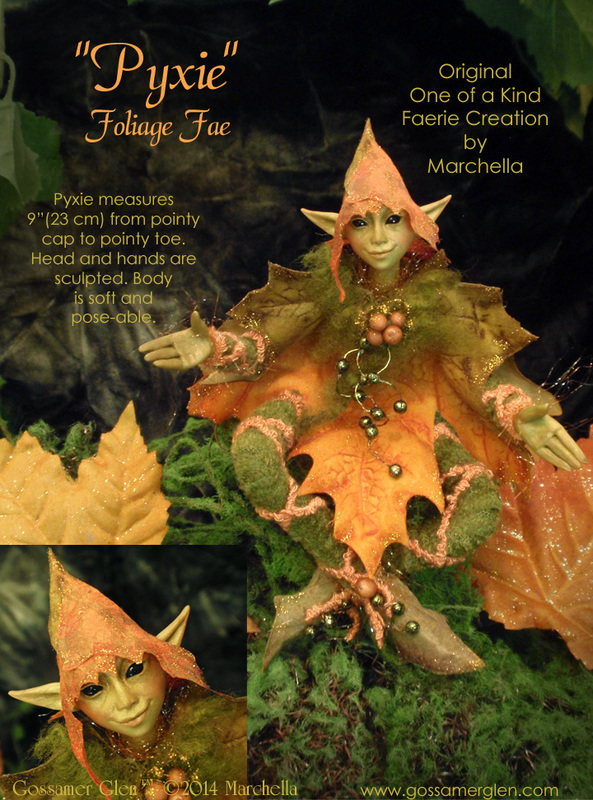 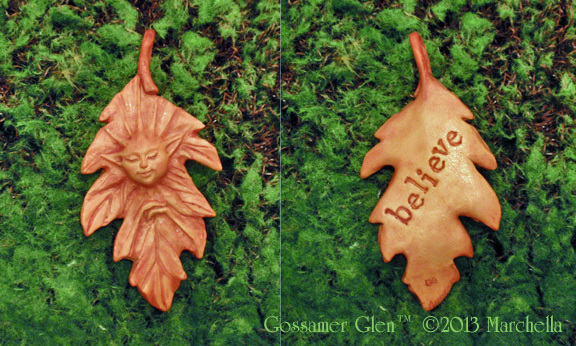 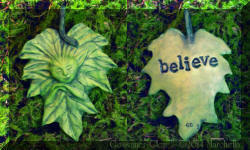 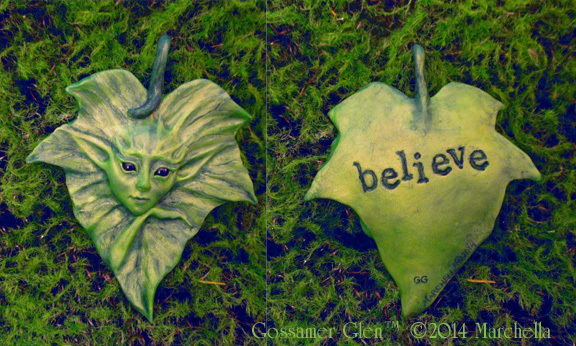 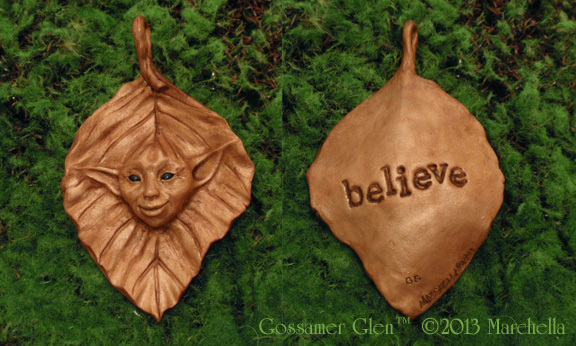 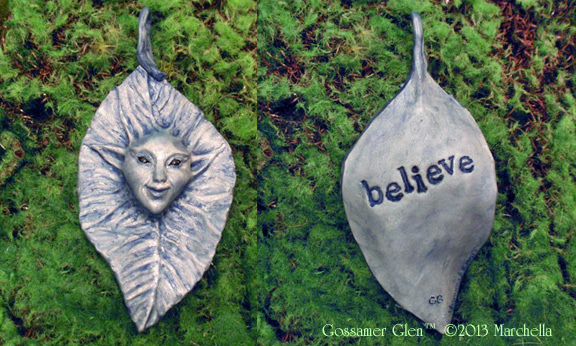 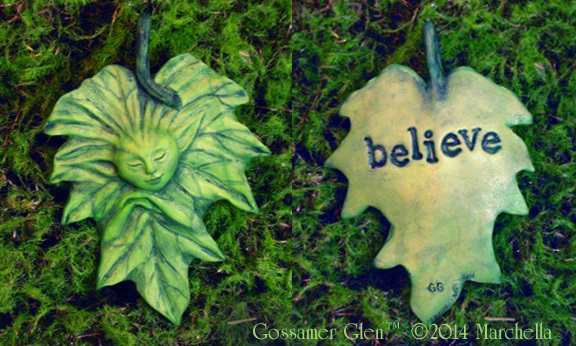 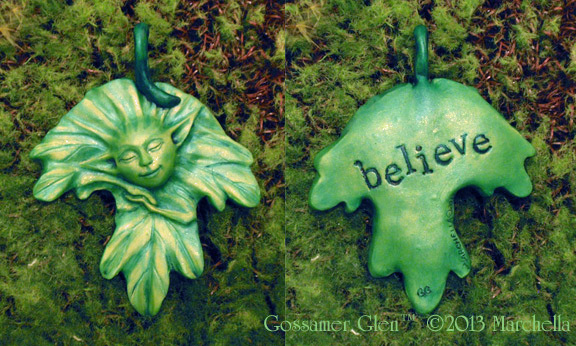 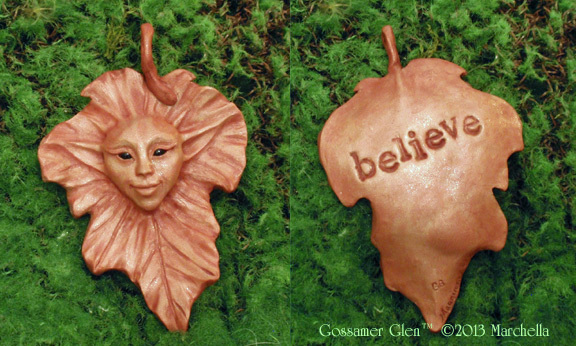 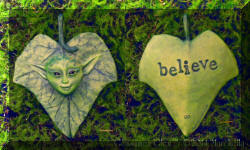 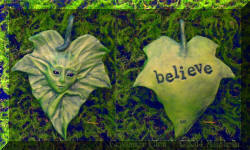 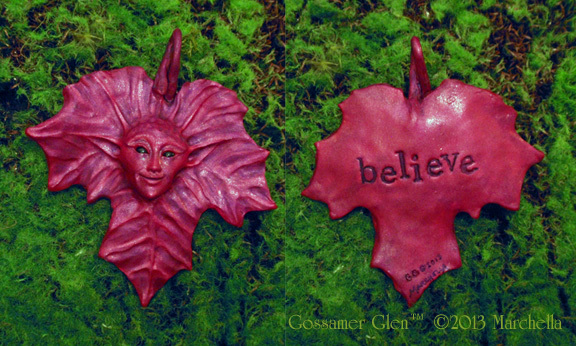 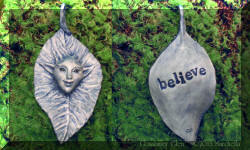 These leafy fae nature spirits feature soft bodies over a wire armature. 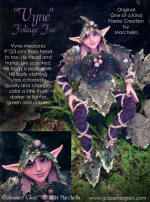 Their heads and hands have been hand sculpted from custom blended polymer clays.